Board the Millennium Falcon and journey to a galaxy far, far away when Solo: A Star Wars Story flies into U.S. theaters on May 25. 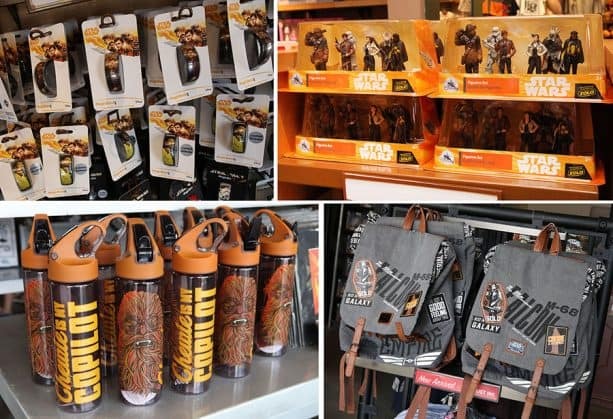 Guests visiting Disney Parks will find a dynamic assortment of merchandise inspired by this all-new adventure with the most beloved scoundrel in the galaxy. This film presented an opportunity for the merchandise team to develop a handful of products for Disney Parks. 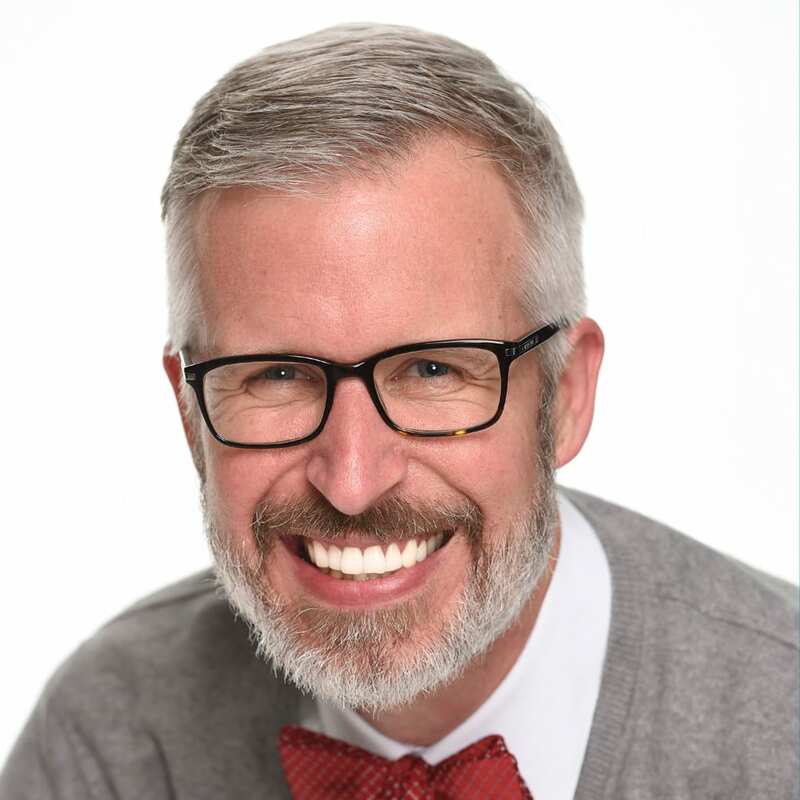 “Guests of all ages can celebrate beloved characters and new adventures from this highly-anticipated film with a fantastic cross-category assortment of products, several of which were created especially for Disneyland and Walt Disney World Resorts,” explained Cody Hampton, Senior Merchandiser with Merchandise Strategy and New Park Experiences Development. 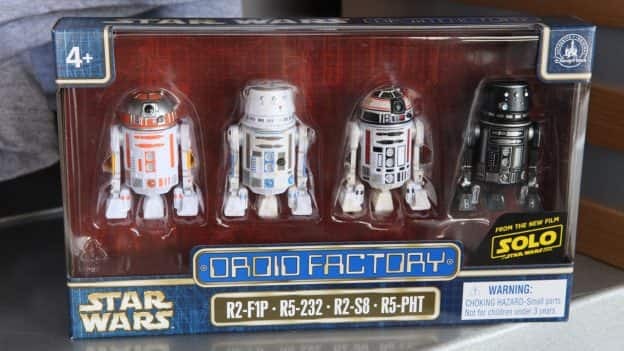 A Droid Factory action figure set contains astromechs seen in the upcoming motion picture. This set complements the build-your-own-droid experiences currently offered in select Disney Parks’ locations, where guests can mix and match droid parts to create action figures from the 3.75-inch line. 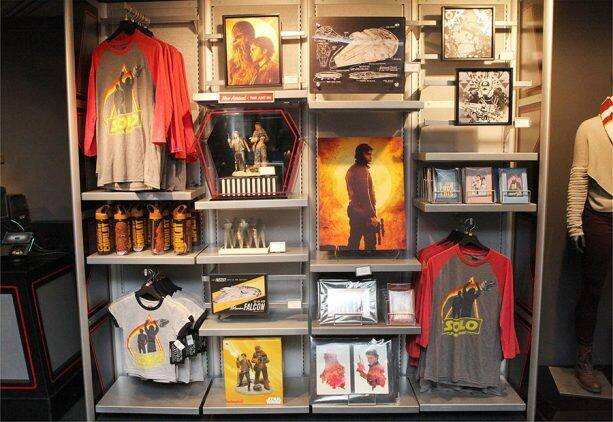 From playful graphic T-shirts to a baseball cap, adults and kids will find a galaxy of stylish apparel and accessories featuring characters and images from the film. 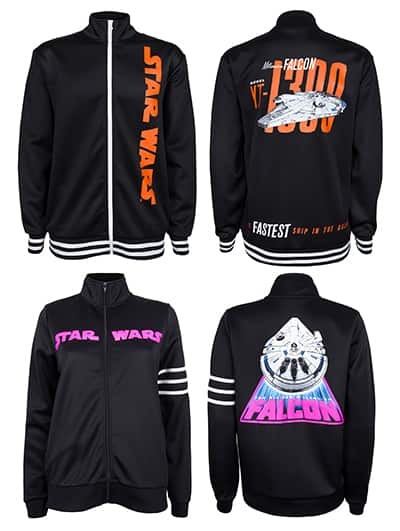 Several products, such as the throwback track-style jackets, were designed for Star Wars-loving couples. They join a mix of other companion-themed merchandise such as hats and T-shirts found only at Disney Parks. Guests can make pin trading an adventure during a Disney vacation with new individual pins, pin sets and trading accessories. These must-have, character-inspired designs are easy to display on themed lanyards, hats or jackets. Rounding out the Disney Parks-specific collection are two new retail MagicBands to join the lineup of innovative wearables at Walt Disney World Resort. An open edition MagicBand features Han Solo and his mighty future copilot Chewbacca, while a limited release MagicBand includes notorious gambler Lando Calrissian. 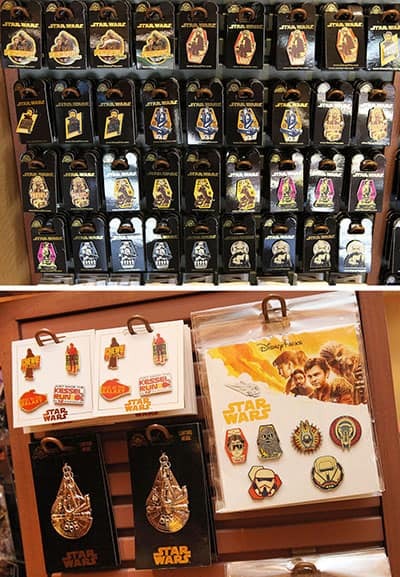 These items and more are found in select merchandise locations at Disneyland and Walt Disney World Resorts. Guests may also find select products on ShopDisney.com and the Shop Disney Parks app. For Guests in Florida, a great way to celebrate a screening of the new film is by attending the Star Wars: Galactic Nights special event at Disney’s Hollywood Studios held exclusively on May 27th. Tickets are available now online, or by calling 407-W-DISNEY (407-934-7639) for details and reservations. Hi Steven! We have tickets for Galactic Nights this Sunday and the weather looks, well, very iffy! 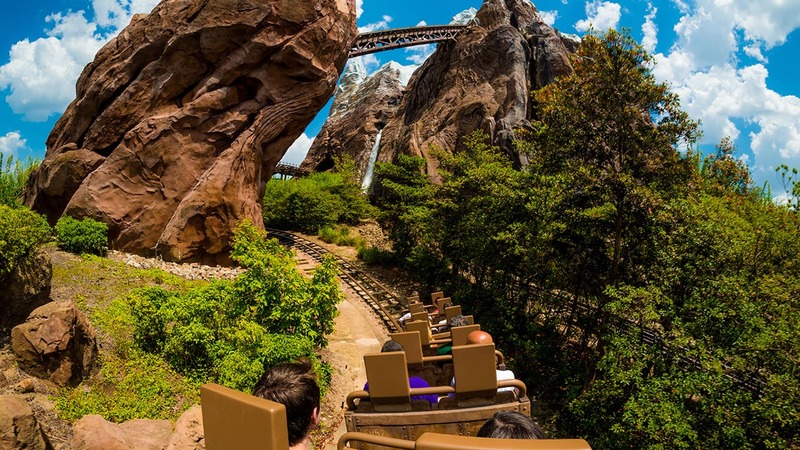 What does Disney usually do in the event of a washout? It’s been highly anticipated in our household for some time (we’ve been making costumes!) and the recent weather has us concerned. Appreciate your response! We’re looking for L3-37! So far, we have only seen a Funko Pop. She is featured in all of the ads. Am I the only fan?